Little, Brown Books for Young Readers, 9780316214407, 192pp. 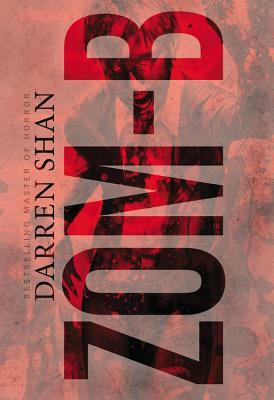 From Darren Shan, the Master of Horror, comes the first book in the Zom-B series that will have you on the edge of your seat and questioning what it means to be a human or a monster. When news reports start appearing of a zombie outbreak in Ireland, B's racist father thinks it's a joke-- but even if it isn't, he figures, it's ok to lose a few Irish. Darren Shan is the bestselling author of Cirque Du Freak, The Demonata, and the Saga of Larten Crepsley, as well as the stand-alone book The Thin Executioner. Shan's books are sold on almost every continent and in thirty-one languages, and have been bestsellers in countries including the US, Britain, Ireland, the Netherlands, Norway, Hungary, Japan, Taiwan, and the UAE. In total, they have sold over 25 million copies worldwide. Shan divides his time between his homes in Ireland and London. "Shan packs in the bites, and he rips out enough entrails for even the most jaded zombie fan; the cliffhanger ending...closes on just the right note to leave the audience gnawing for more...A series opener to sink your teeth into." "Character development is impressive...and Shan executes the transition from normalcy to wholesale terror masterfully."